There’s a new Kickstarter campaign that launched last week that I really, really want to share with you all. It’s funny how things get into the collective consciousness of the internet. At some point late last year, I and a few other bloggers started writing about bullet pencils. Speaking only for myself, I couldn’t shut up about them for months. That’s why I’m super excited to see this hit Kickstarter. Amidst all the campaigns for customized pens (seriously, folks. There are so many of them), we have a tribute to the bullet pencil. Check it out: the Bullet Pencil ST.
Jeff Grant, the creator, is responsible for a few other successful campaigns, like the Field Assistant, a titanium carrying case for Field Notes, and the very popular Metal Comb Works custom metal comb, which ended at more than 500% of his goal. 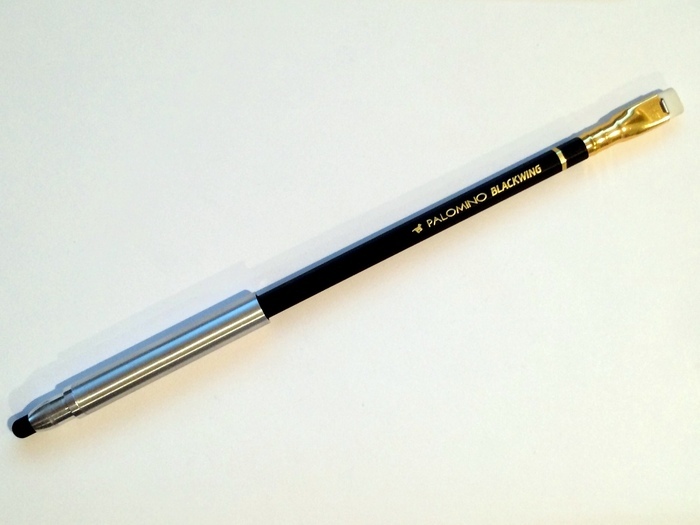 Like his other products, this pencil is a modern take on an old product. At $33, the pencil (model name: TT) includes a pocket clip, a Palomino Blackwing stub, and a hole in the top specially designed to fit a Blackwing eraser! And, at the $39 level, he takes the modern interpretation even further and includes a capacitive stylus tip on the opposite end of the wooden pencil, so when the BPST is closed, the user can use a smartphone or tablet with it. I decided to create a writing instrument accessory that would allow me to use my favorite writing instrument, the trusty No. 2 pencil. A device to protect the pencil tip while in a pocket, backpack or bag…but also a useful tool for today’s smart phones, tablets and touch screens. I thought back to what my grandfather would carry in his pockets and on his person. For sketches and note taking he would always carry a No. 2 pencil behind his right ear or his shirt pocket. This wasn’t any old pencil, he used a “Bullet Pencil” that he undoubtedly got as a giveaway at the local hardware store he frequented. The original intention of the bullet pencil is lost in this interpretation of the product; this is too fine a product to give away at the hardware store or as souvenirs at, say, the Niagra Falls gift shop. But Jeff is honoring the functionality of it — a handy, protected little pencil that will slip right into your pocket. The handiness is extended just a bit further for this era with the stylus. It looks like the stylus/pencil holder piece fits into the sheath via friction. I imagine that after some wear, that will become looser and looser. Unlike an old bullet pencil that can be bent slightly to tighten up a loose fit, I doubt this is as pliable. Perhaps a couple turns worth of screw threads can solve that. The Peebs is just a tiiiny bit larger of a diameter than a standard hex pencil, right? (Please, correct me if I’m wrong about this.) I wonder if I’ll be able to use other pencil stubs in this pencil. 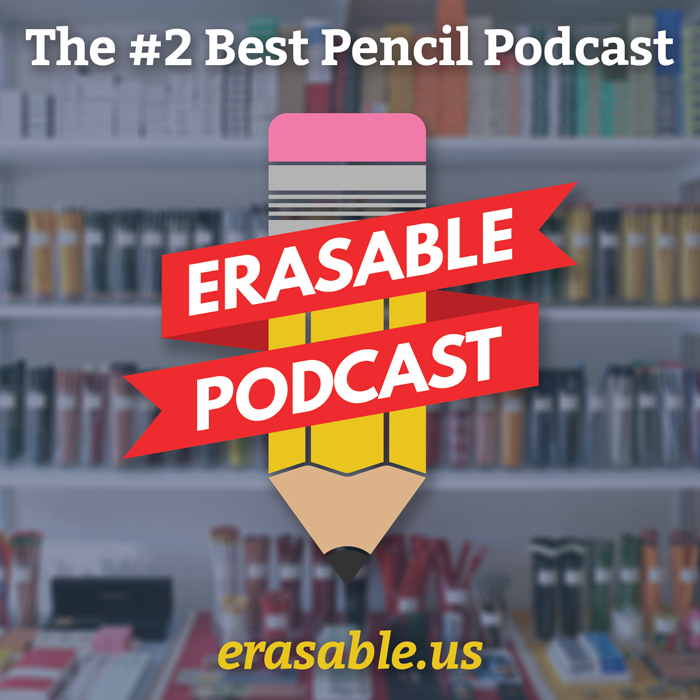 Since he’s using the Peebs eraser, Jeff has the opportunity to correct a small design flaw that the pencil itself has — the fit of the eraser. The Blackwing Ferrule itself fits the eraser clip loosely enough that it can be removed with ease, but in doing so, it’s hard to keep an extended eraser in place when erasing — the pressure and friction on the paper just pushes it back down inside the ferrule. The BPST could correct that for itself. I love the fact that this weighs less than half an ounce, and that it’s just under 5 inches long when closed. I like that the eraser is replaceable — unlike many of the old, midcentury bullet pencils — as is the stylus tip. I even like the “Ancile,” available at the basic pledge level of $22, a pared-down version of the BPST. It works as a point protector (or a shield — an ancile!) for a pencil. My Erasable co-hosts and I are excited to see how this Kickstarter goes — at the time of publishing this post, it’s at 42% of its $8,900 goal, with 25 days left to go. 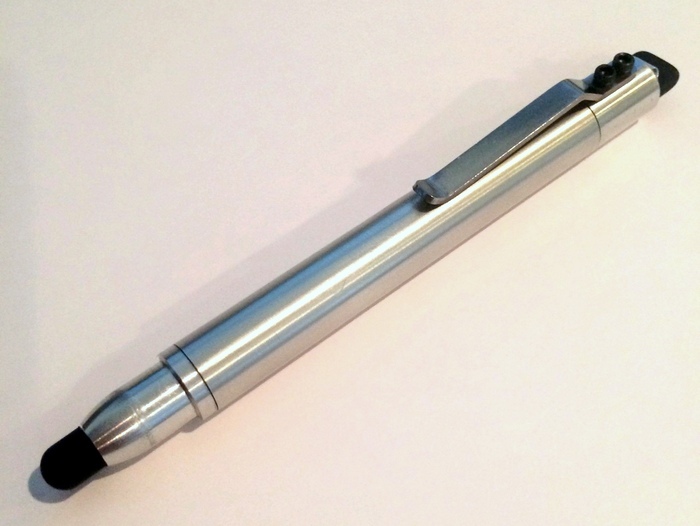 There’s another prototype bullet pencil we’ve been watching on the horizon, too, though I don’t want to talk about it too much until it’s ready. It seems like we’re in a bullet pencil Rennaissance right now, and that’s really exciting. To see more photos, a video, and to pledge on this Kickstarter, go to the Bullet Pencil ST Campaign page.